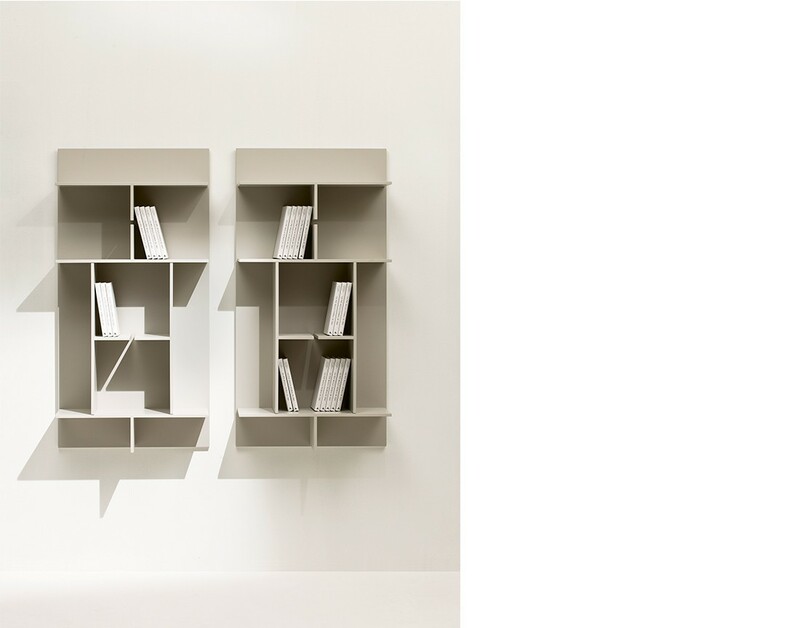 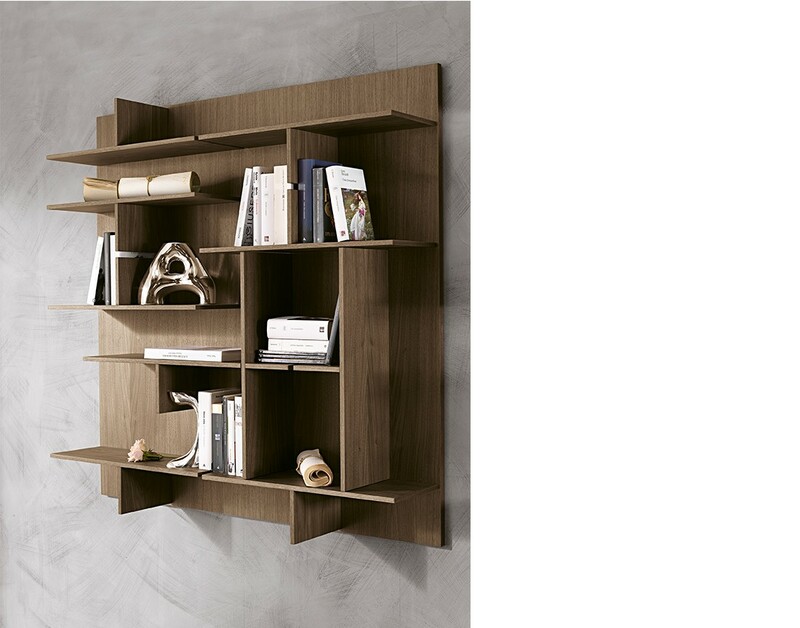 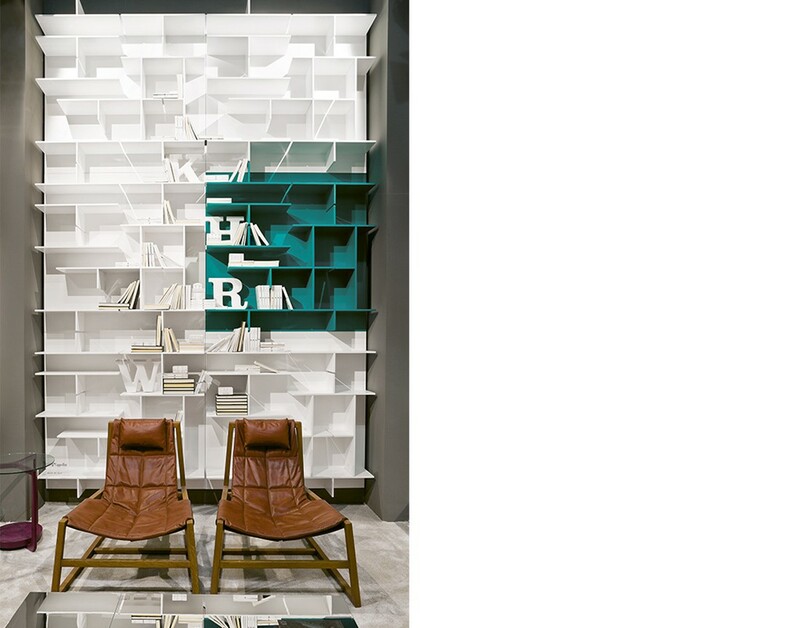 Modular wall bookcase with structure veneered canaletto walnut or fiberboard. 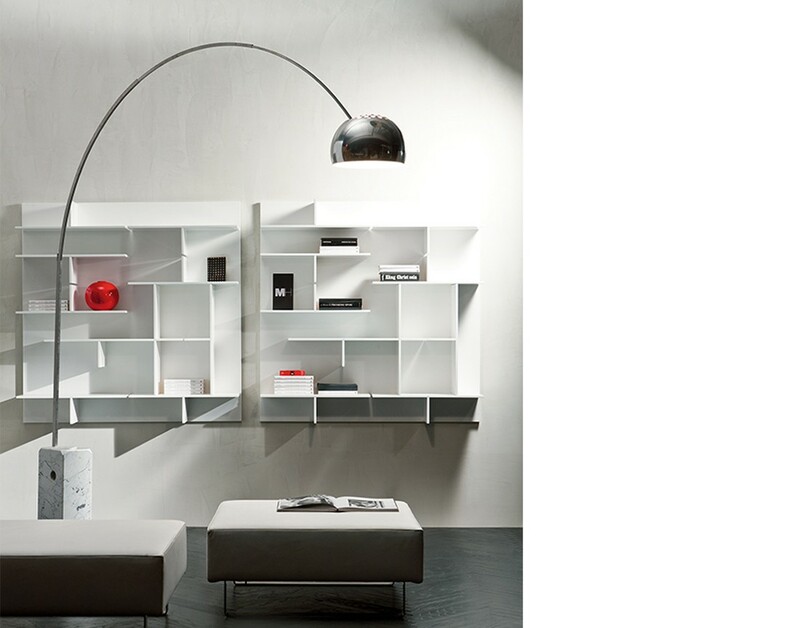 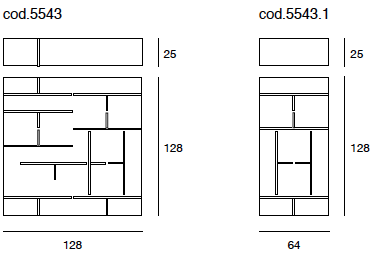 It is possible to hang it vertically or horizontally. 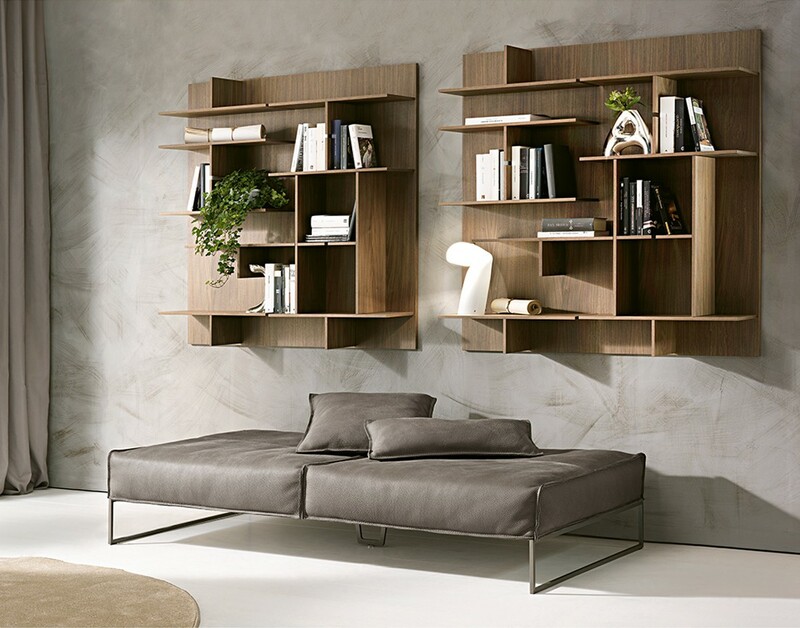 Available finishings: NK canaletto walnut, closed pore matt lacquered ( L1 white, L19 pearl, L3 cappuccino colour, L5 smoke grey, L2 black, L4 red, L40 microembossed beige, L41 microembossed ecrù, L42 microembossed mud ).